I was introduced to Korean beauty box Memebox (pronounced Me-Me box...yeah, I've been saying it wrong for the past month!) a few weeks ago when I reviewed their Rose Scentbox. 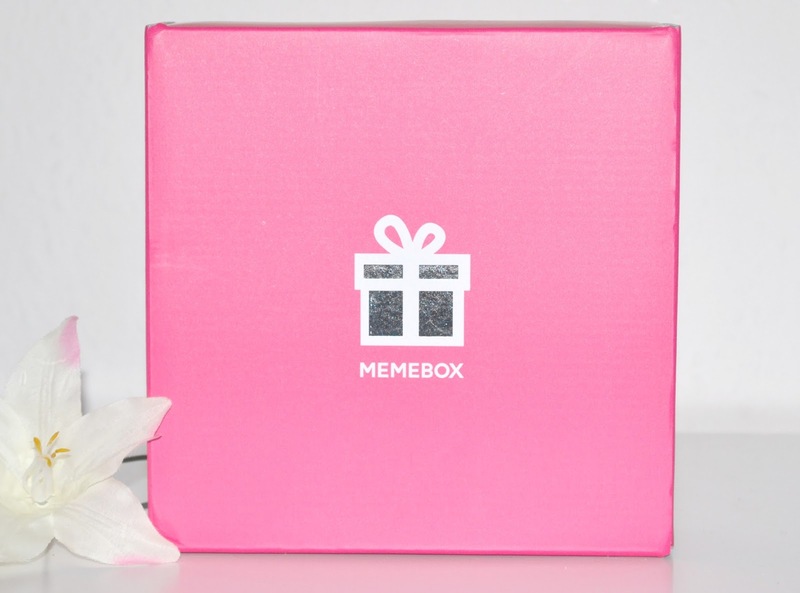 If you're new to Memebox, they're basically a beauty box with a difference- rather than fill out a profile of your likes and dislikes you simply buy a themed box from the website, and receive a surprise selection of high quality Korean products based on that theme. 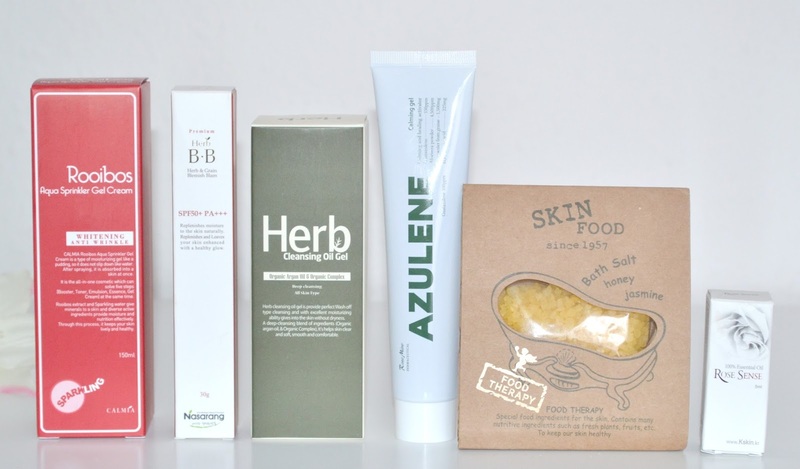 This time around I was thrilled to get my hands on one of their Superboxes which contain all full sized products; this box contained six products all based on the theme 'herbal cosmetics'. I'll be doing full reviews of these once I've given them a proper go, but here's what I got and my first impressions! This is a 'cleansing oil gel' containing argan oil and organic complex. I've given this a quick go already and I like it- while it's a bit different to any other cleanser I've used (with it being oil based it doesn't really foam up, which is a bit weird but I reckon I'll get used to it!) it left my skin feeling clean and hydrated. I'm going to be incorporating this into my routine as my evening cleanser as the oil based consistency is great for cutting through grime and makeup. I'm still a little bit unsure as to what this actually is as the translation is kinda questionable- the packaging states 'a type of moisturising gel, like a pudding so that it does not slip down like water' Ok then! It has a thin gel/ water consistency which you spray onto the skin, I'm thinking it's a hydrating toner but I'll definitely be doing some more research into it to find out how to get the best benefits from it. It absorbs instantly and does leave the skin feeling nice and refreshed so I'm definitely interested to find out more about it. I was excited to see a BB cream in the box, I've tried quite a few Asian BB creams over the last eighteen months and find they're a million times better than anything the British highstreet has to offer. With a huge SPF 50 included it's absolutely perfect for this time of year, especially as we're actually getting nice weather in the UK at the moment! While the colour isn't a perfect match (I'm yet to find a foundation that is) it's not too dark or warm toned and so I can still get away with it. Positive first impressions for this one, while it's very light on the skin you do get a bit of coverage from it. Of the six products, it was these bath salts that excited me the least. I'm not the hugest fan of bath salts, and have found in the past that whenever I've used them they've never dissolved properly and I've been sat in an uncomfortable gritty bath! I'll still give these a go though and who knows they might be worlds apart from any bath salts I've ever tried. I'll update on my Instagram how I get on with these when I use them. There were two Rose Mine products in the previous Memebox I tried, so I already knew I liked the brand. While this doesn't come in the same pretty packaging as the previous products, I can already tell it's going to be a favourite for me this year. The cooling and soothing gel is to be applied after you've been sat in the sun, and for someone that burns quite easily this is exactly the kind of product I need on hand in the summer. It's really lightweight so unlike sticky and heavy aftersun products it doesnt feel greasy or oily on the skin. I'm a huge fan of essential oils and so was really happy to see this in the box. It doesn't smell too much like rose to me, it's very aromatic smelling and I'm sure I can detect some kind of lemon/citrus in there too. 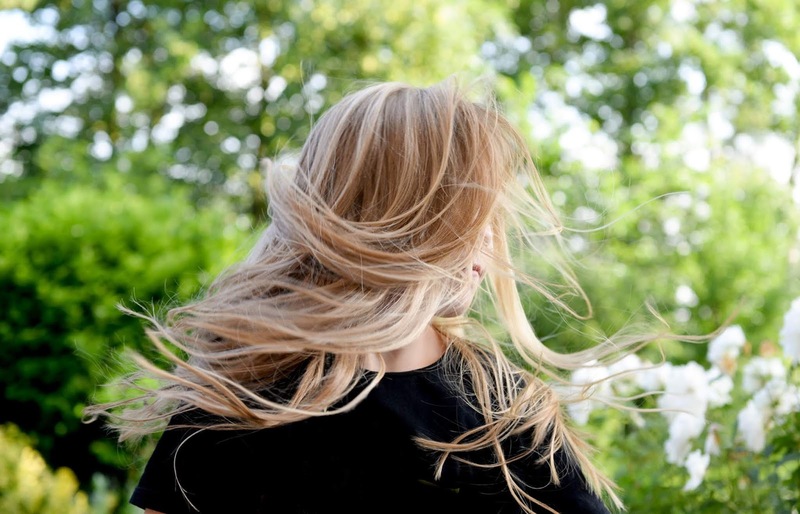 Either way it's lovely, you can use a few drops in your bath, dabbed on your wrists as a perfume oil or even in an oil burner as a home fragrance. 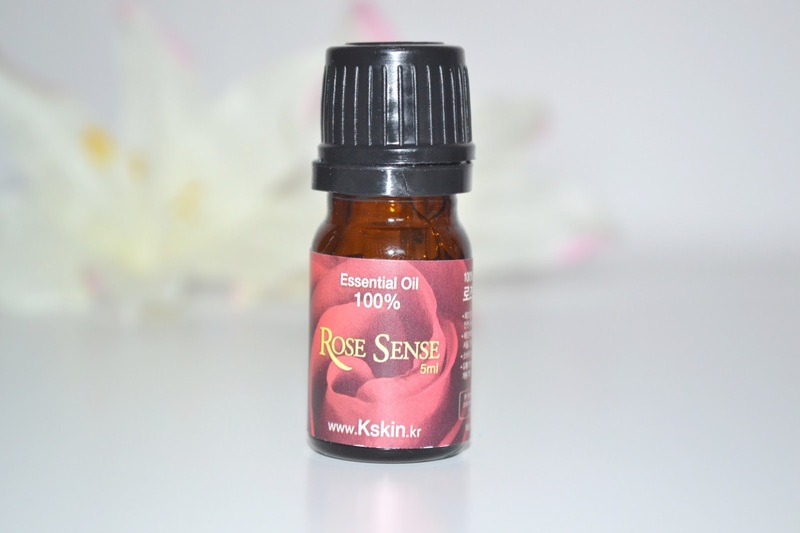 It's only a teeny 5ml bottle, but as with any essential oil the scent is very concentrated and so you only need the smallest amount. So glad its not just me who isn't a fan of bath salts, thought I was the only one who didn't get them. Although Memebox is one of the beauty boxes I know least about, so it was good to see inside one! I have heard of MeMe Box before! Skin Food is an amazing company, seriously. There are several stores in California, and I visit whenever I can. Their skincare products smell good enough to eat, but are also very effective as well. This looks like such a great box, definitely appeals to me more than the normal beauty boxes!